Last week my colleague Dieter Vanderelst presented our paper: The Dark Side of Ethical Robots at AIES 2018 in New Orleans. I blogged about Dieter’s very elegant experiment here, but let me summarise. 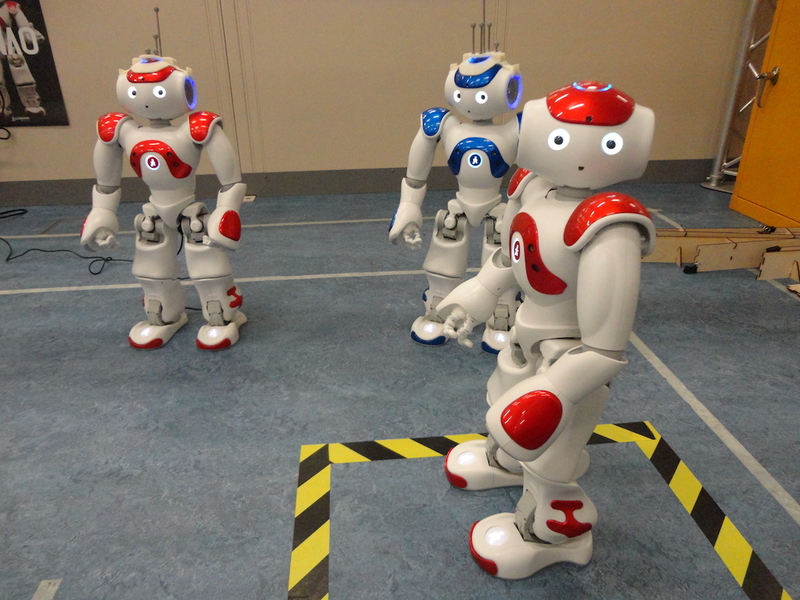 With two NAO robots he set up a demonstration of an ethical robot helping another robot acting as a proxy human, then showed that with a very simple alteration of the ethical robot’s logic it is transformed into a distinctly unethical robot – behaving either competitively or aggressively toward the proxy human. On the face of it, given that we can (at least in principle) build explicitly ethical machines then it would seem that we have a moral imperative to do so; it would appear to be unethical not to build ethical machines when we have that option. But the findings of our paper call this assumption into serious doubt. Let us examine the risks associated with ethical robots and if, and how, they might be mitigated. There are three. First there is the risk that an unscrupulous manufacturermight insert some unethical behaviours into their robots in order to exploit naive or vulnerable users for financial gain, or perhaps to gain some market advantage (here the VW diesel emissions scandal of 2015 comes to mind). There are no technical steps that would mitigate this risk, but the reputational damage from being found out is undoubtedly a significant disincentive. Compliance with ethical standards such as BS 8611 guide to the ethical design and application of robots and robotic systems, or emerging new IEEE P700X ‘human’ standards would also support manufacturers in the ethical application of ethical robots. But even hard-coded ethics would not guard against undoubtedly the most serious risk of all, which arises when those ethical rules are vulnerable to malicious hacking. Given that cases of white-hat hacking of cars have already been reported, it’s not difficult to envisage a nightmare scenario in which the ethics settings for an entire fleet of driverless cars are hacked, transforming those vehicles into lethal weapons. Of course, driverless cars (or robots in general) without explicit ethics are also vulnerable to hacking, but weaponising such robots is far more challenging for the attacker. Explicitly ethical robots focus the robot’s behaviours to a small number of rules which make them, we think, uniquely vulnerable to cyber-attack. Two years ago I thought the benefits of ethical robots outweighed the risks. Now I’m not so sure. I now believe that – even with strong ethical governance – the risks that a robot’s ethics might be compromised by unscrupulous actors are so great as to raise very serious doubts over the wisdom of embedding ethical decision making in real-world safety critical robots, such as driverless cars. Ethical robots might not be such a good idea after all.